A GRIP ON SPORTS • As Saturdays go, yesterday was a slap in the face. In a good way. You know, like in one of those old-time movies where the lead actor is starting to lose it because they are so overwhelmed by circumstances and someone slaps them back into reality. Ya, like that. Read on. • Just. So. Much. Going. On. Look at Saturday this way. My favorite non-major golf tournament of the year is at Pebble Beach. It’s the one tournament with average Joes playing with the pros. And it’s at a golf course that not only features the world’s best views, but which I have actually played – and broken 100. And yet, yesterday, the Pebble Beach Pro-Am Brought to You by the Memory of Bing Crosby, or something like that, was way down my list of must-watch programs. Even with Phil Michelson in contention. Those were, in order, the Gonzaga game (I was getting paid to watch that, so of course it is No. 1), the Washington State game (heck, it would have been here even without the chance to see Sean Miller’s expressions of disgust; those were just a bonus), the Virginia/Duke game (a personal connection), Marquette’s win over Villanova (I have an affinity for Big East basketball), and then the golf. Sure, after watching all of that my face stung a bit – WSU’s win would have done that by itself on a normal day – but in a good way. And in a way only another sports fan could understand. • There were a couple things Roxy Bernstein and Sean Farnham discussed last night on the Gonzaga broadcast I couldn’t squeeze into my TV Take, but luckily I have this venue to pass them along. One was Killian Tillie’s status. ESPN kept running a news blurb across the bottom of the broadcast – part of the score line the network always updates – that mentioned Tillie’s torn ligament and stated, categorically, he was out for the season. And yet Farnham and Bernstein talked often of Mark Few’s hope Tillie would return for the NCAA tourney. Your typical viewer is left with one question: which is it? It’s the latter. There is a chance Tillie will be back this season but no guarantees. The other thing that bothered me, and has bothered me a bit before, is an ethical question. Is it OK for one of ESPN’s announcers to gush so publicly about a business on the air? We get it, Farnham loves the Davenport hotel. We all do, especially around Christmastime. It is a Spokane tradition. Heck, when I was covering the Cougars, Kim and I would spend the first weekend after football season there, celebrating the chance to reconnect after I had just spent five months living away from the family in Pullman. And it is still our favorite place to spend a local staycation. But if the hotel, in gratitude for such things, tried to give me free peanut brittle or an upgrade or a used Chevy Vega, I would have to say no. Ethics and all that. I wouldn’t want you to think, ever, I am praising someone or something in return for a reward of any kind. It’s just part of the deal we make when we enter the journalism world. • Today’s sports section would be overflowing if Ralph Walter’s guys had just covered the news of the day. But like those old TV commercials from my youth, there’s more. The best of the “more” is John Blanchette’s interview with Washington State athletic director Pat Chun and Blanchette’s accompanying column. For those of you interested in the inner workings of the WSU administration, it’s a can’t miss collection of stories. And for those of you who only occasionally wonder what the heck is going on in the Palouse, it’s worth reading as well. Gonzaga: Farnham more than once mentioned he thought this was the best Gonzaga team ever and, if he was being totally honest, I’m sure Saint Mary’s coach Randy Bennett would agree with him. As John pointed out in his column, the Zags handed Bennett his worse loss in his almost two decades in Moraga. … Jim Meehan analyzed the game and also has the keys to the rout. … Tyler Tjomsland was the photographer in attendance and he has this photo report. … The folks in the office put together a recap with highlights. … I had my view from home with the TV Take. … Jim had a couple stories pregame, including one on Tillie’s injury. He also covered the made-for-TV NCAA seed reveal, with GU earning a No. 1. … The women won by nearly 30 at Portland. … Around the WCC, second-place BYU held off Pacific at home. … Pepperdine rallied late and pinned a tough loss on San Diego. WSU: Heck, we didn’t even get into the biggest football news from yesterday around these parts. Former Eastern quarterback Gage Gubrud, who was told recently by the NCAA he wasn’t eligible for a sixth season, now is. The organization granted him the extra year in a quick reversal on appeal. What a weird process. Anyhow, Theo Lawson has the story and a transcript of his conversation with Mike Leach on the subject. Gubrud has a good shot of being the Cougars' starter this fall. … Again, here is John’s column and the transcript of his interview with Pat Chun. 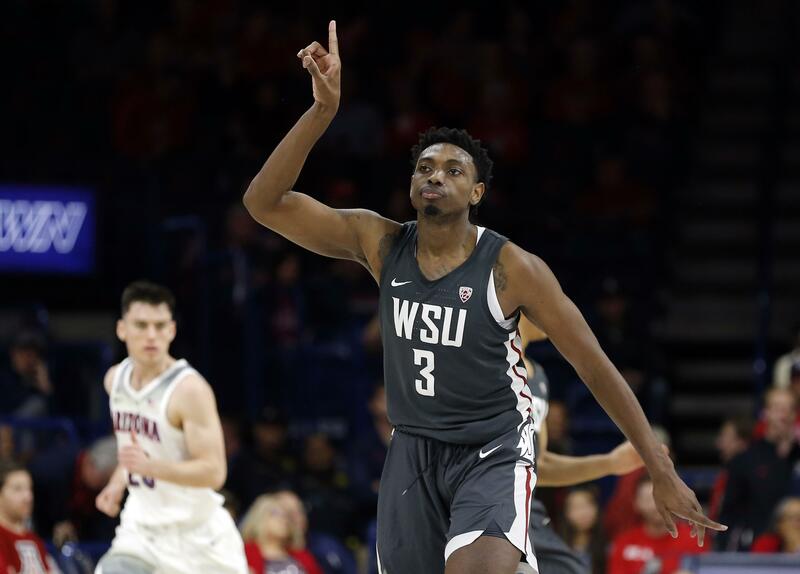 … It’s been more than a decade – back to the glory days of Bennett ball – since WSU had swept the Arizona road trip. But the Cougars finished it up last night. If you want the flip side of that, read the coverage from Tucson. There are even photos. … Elsewhere in the Pac-12, Washington isn't going to be the first team in the Pac-12 Era to go undefeated. The Huskies lost last night at up-and-down Arizona State. … The worst loss of the day goes to UCLA, which led by almost two dozen at one point only to fall to Utah on a last-second 3-pointer. … USC didn't have a lot of fun, either, as Colorado came held on for the road victory. At least the postgame handshake line featured some fireworks. … It wasn't easy, but Oregon State got past California. … Oregon is trying to get back on track. … There is football news from Arizona State. EWU: Imagine that. Eastern battled all the way back from a big deficit only to lose 75-74 on a late free throw. In Missoula. Who would have ever thought? … The Eagle women fell behind double digits early but rallied to edge Montana in Cheney. … Around the Big Sky, it was tough day in Bozeman, and it wasn't because Idaho lost to Montana State. … Southern Utah held on against visiting Idaho State. … Northern Colorado won again, this time over Sacramento State. … Weber State got past host Northern Arizona. 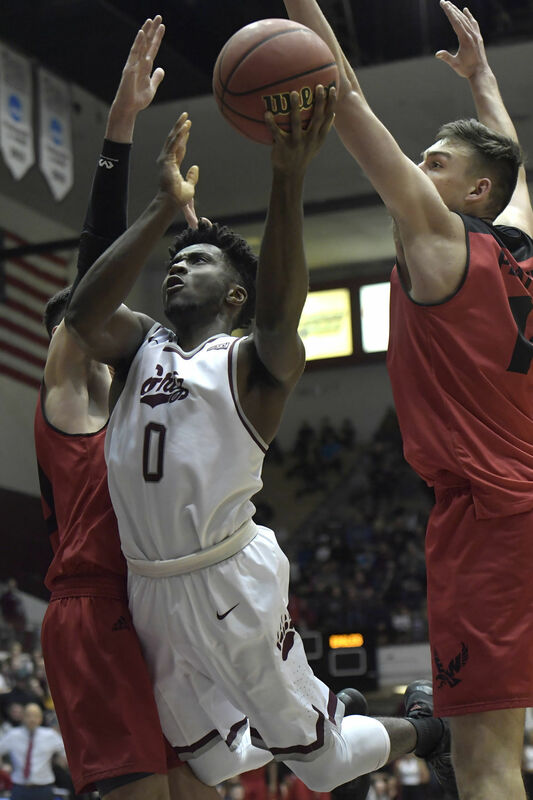 Whitworth: It took overtime, but the Pirates got past George Fox at home last night. Dan Thompson has the story. Chiefs: Spokane stayed red hot offensively, scoring five times and defeating visiting Kootenay. Kevin Dudley has the game story from the Arena. Wrestling: A couple of local officials are receiving honors. That’s part of our local roundup. Preps: The weather problems meant there wasn’t a lot of prep action yesterday. But we do have a basketball roundup to pass along. Published: Feb. 10, 2019, 8:34 a.m.